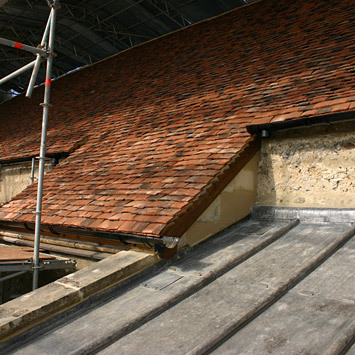 At St Mary The Virgin, Little Chesterford, the north roof slope had nail fatigue and tile spalling. 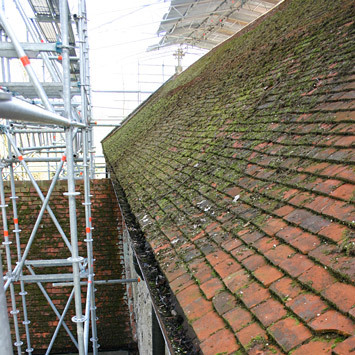 This roof slope required a re-roof, which is a fairly typical repair undertaken by most churches, as north slopes are often subject to moss, which retains water and freezes in winter, causing the tiles to spall. 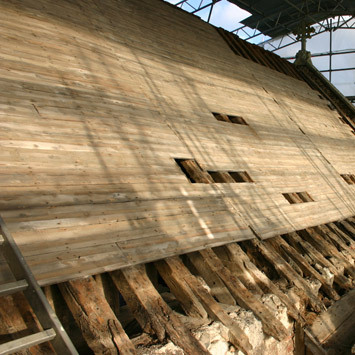 We stripped the existing tiles and saved them, and repaired the rotten oak sprockets at the rafter feet. We also took the opportunity to insulate the roof slope, re-felted and battened and replaced the saved tiles with some new to match. 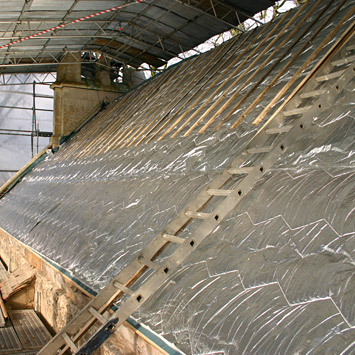 The added insulation has helped the church retain heat, making it a more comfortable place to use. We also repaired some of the stone copings and lime mortar bedding.